The countdown to the Starcraft 2 release date closes in, July 27 is less than a week away and it’ll be available for Mac and PC users. This is really exciting for RTS fans like myself, and I’m especially happy that Blizzard is going for a concurrent release for both Windows and Mac OS platforms. Be sure that you meet the Starcraft 2 system requirements for Mac so that you can enjoy the game, they’re pretty reasonable so most people who bought a Mac over the last couple of years should have no problem running the game. 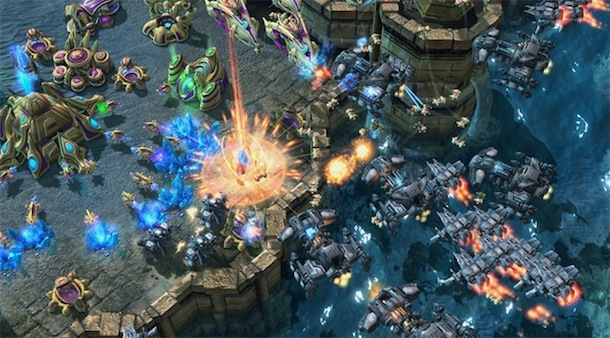 You can pre-order Starcraft II: Wings of Liberty on Amazon for $60. Im really ecxited for this one as well, as Pauls mentions it is nice to see Blizzard doing a concurrence released for both platforms. Blizzard has alwasy been a big supporter of the Mac platform. No word yet on it coming to Steam? Yes that should work but the box will confirm this for sure. Newer Blizzard games are released on both the Mac and Windows platforms at the same time and come on a single install disk, this has been true for Warcraft 3, World of Warcraft, and is expected with Starcraft 2.